Half way into Lagos Nawa, Olamide’s seventh album, he asserts that he owns Tungba after first insisting that Sunny (that is King Sunny Ade) owes the guitar, on the hook of Saysaymaley. First reaction is to ask how the Ibadan-based Yinka Aiyefele feels about this spurious claim. Second reaction is to warn Hiphop and Rap heads who had lofty expectation of great couplets in Yoruba; Baddo has disappointed us yet again with another commercial break from rap. The last break he took was about two years when he spun the yarn of his 21-track Eyan Mayweather, his fifth album, which featured no other musician and sported an exciting eponymous opening track where he rapped eloquently the way a pugilist slams into an opponent. Two years later, Lagos Nawa, drops into our lap customarily in November, presumably to usher us into the new year. Lagos Nawa has similarities with Eyan Mayweather that makes for interesting comparisons. 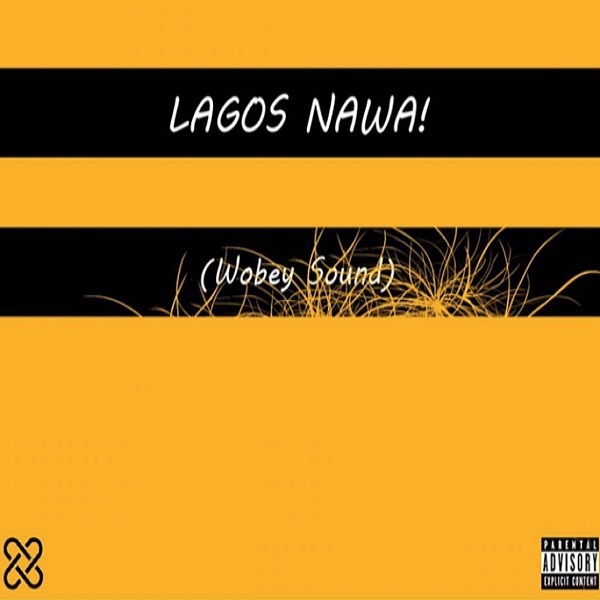 Subtitled Wobey Sound, Lagos Nawa dignifies a sound that Olamide has been pushing all year long, his attempt to characterize his music when he is not spewing rap verses. In the wake of this new wave of taxonomy in the music industry, perhaps Olamide feels threatened to clarify his sound as different from the dominant Pon Pon sound. Wobey Sound is mid-tempo, percussive and leans into Fuji with a characteristic lilt while Pon Pon is heavily percussive with complex rhythms and sparse to gibberish to non-existent lyrics. The difference and distance between both sounds might be more imagined than real but naming sounds, for the purpose of this review, is an entirely political conversation. At 17 tracks, Lagos Nawa is four tracks short of Eyan Mayweather. Entirely produced by Young John (except Shine produced by Olamide Baddo himself), this album plays the role of pitching Olamide’s two favourite producers against each other. Recall that Pheelz produced 16 out of 21 tracks on Eyan Mayweather. Two years later, Lagos Nawa and Eyan Mayweather has got Young John and Pheelz in an acoustic duel of sort. The sands of time favour Young John. Olamide has been making Wobey Sound for over 2 years. Lagos Nawa also enjoys the contributions of a retinue of featured artists like Reminisce, Tiwa Savage, Timaya and Phyno when compared to Eyan Mayweather where Olamide distinctively stands alone. Expectedly, technology for making sounds has also improved. In spite of this skew, Eyan Mayweather seems to be a more enjoyable album. Lagos Nawa, once rid of its novelty, finds its level in Olamide’s discography, down beside the debut Rap Sodi and the misogynistic Street OT. Of course, there are moments of brilliance. Songs like Yagaga, Radio Lagos and Oro Pawpaw stand out for tenderness, sarcasm and praise-singing respectively. A fair number of the tracks simply ply the role of fillers. This is typical of every Olamide album expect The Glory which was unusually lean and tightly woven together. It is noteworthy to reflect on the loss of chemistry between Phyno and Olamide. The liquid gold of their alliance in the earlier years has fizzled into a husk this year. It is difficult to reconcile that synergy that birthed songs like Ghostmode and Father Father has petered out into the realm of tepid keggite songs like On a Must Buzz. Fine Fine Girl is a dwarf where Standing Ovation towers above average. It is also sad that Olamide couldn’t remake magic with Ms. Tiwa Savage. The album ends with Wo Spiritual, on an anticlimactic note. Invariably, a slower iteration of the hugely successful Wo! leaves the average Olamide fan wishing for more.